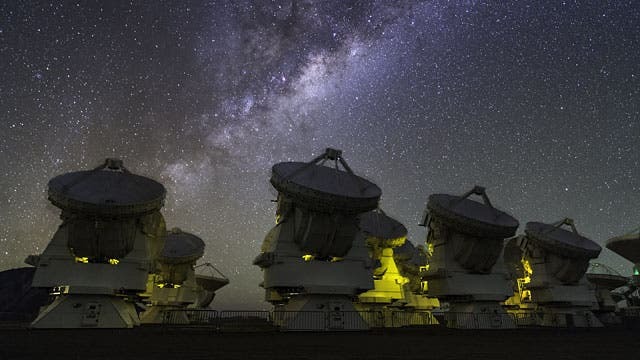 One of the most remarkable successes of astrophysics in the last century was its discovery that the age of the universe as measured by its oldest stars was about the same as the age estimated in an entirely different way, from the recession of galaxies. Both came up with surprisingly long times—billions of years—providing reassuring confirmation that both were probably on the right track. But a mystery was discovered that says that we are living in a privileged epoch. It’s a puzzle we have yet to solve. But the two values were not identical and scientists very quickly realized a major discrepancy: the oldest stars were older than the universe itself. Refinements to the measurements and the models to resolve this contradiction were underway until 1998 when cosmic acceleration was discovered. It proved, in a single sweep, that the universe was actually much older than had been thought, and in particular was older than the oldest stars. But there was a riddle in the discovery: The motion of the universe is governed by matter, whose gravity tends to slow the expansion down, and by acceleration which speeds it up. Since the average density of matter in the universe steadily drops as the universe swells, in time it has a smaller and smaller value. Curiously, today it just happens to have almost exactly the same value (when expressed in the same units) as the acceleration parameter. Why? There was a second riddle too: The theoretical size of the acceleration parameter could be almost anything; indeed, basic quantum mechanical calculations suggest it should be vastly larger than it is. Why it is as small as we measure is a mystery. CfA astronomers Arturo Avelino and Bob Kirshner have just published a paper calling attention to yet another riddle. The universe did not expand at a constant rate that was just the blend of these two factors. For the first nine billion years of cosmic evolution, contraction dominated and the universe gradually slowed its expansion. Since the relative importance of cosmic acceleration grows with time, however, for the past 5 billion years acceleration has dominated and the universe has sped up its expansion. Curiously, though, today the universe looks the same way it would have if it had always been expanding steadily at a constant rate (the rate required to prevent ultimate re-collapse). Although it sounds slightly similar to the original riddle, the authors describe why this new puzzle is actually different: We are living (apparently) in a privileged epoch; the other puzzles do not have this implication. The explanation(s) for these riddles is not yet known. If some specific new kinds of elementary particles exist, the scientists suggest, they could provide the answer, but for now the only thing that is certain is that more observational research is needed.